Download this free guide to learn how your social media strategy should evolve. From acquisitions to new applications, social media transformed in 2013. Twitter bought Vine and Facebook introduced hashtags. Sponsored ads became commonplace on social media sites, and the list goes on. That's why we’ve created an itemized manual of all the biggest updates last year and how you can use them to your advantage in your inbound marketing strategy. 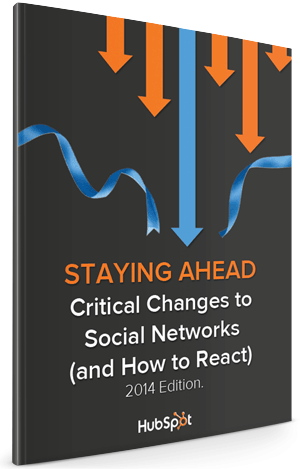 Download this guide now to see how your social media strategy should evolve in 2014. Yes, I want this manual!